Topical steroids are medical treatments that are applied directly to your skin (as opposed to taking a pill by mouth) to provide relief for a wide variety of dermatological conditions, such as psoriasis, seborrhea, atopic dermatitis, and contact dermatitis. They can be prescribed or purchased over-the-counter, depending on their strength. Creams, the form that's prescribed most often, are a mixture of water and oils and usually contains a preservative. They're especially good for hairy and wet areas and are easily applied without a greasy feel. 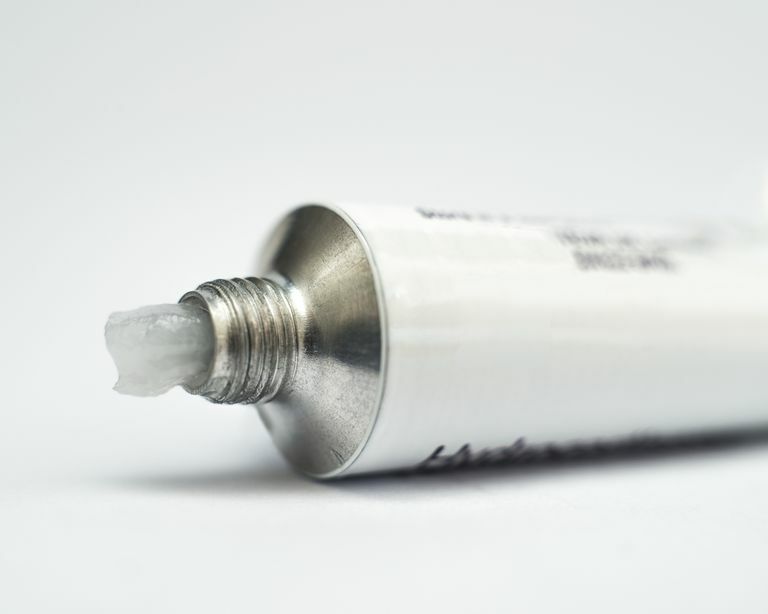 Ointments are made of oils and little to no water and don't usually contain a preservative. They're great for dry, scaly skin or areas with thick skin like the soles of your feet and the palms of your hands. Gels are made with water and propylene glycol and, like creams, they're easy to apply. Solutions, foams, and lotions usually contain oil, water, and other chemicals and are used on your scalp. Topical steroids help by reducing inflammation in your skin. For example, if you have eczema and you experience a flare-up, you can apply a cream that decreases your skin irritation and makes your skin feel less itchy. This treatment helps you stop scratching the area and allows your skin to heal. Topical steroids are divided into seven classes based on how strong they are. The strongest steroids are in Class I and the weakest steroids are in Class VII. The strength of a topical steroid is determined by a standardized test that measures the extent to which it can cause your blood vessels to constrict in the upper dermis (the layer of skin that's just below the outer epidermis). Comparatively speaking, a Class I topical steroids are between 600 and 1,000 times stronger than those in Class VII. It is important to note that the percentages listed on a product label do not reflect the product's strength. For instance, a 0.01 percent Class I topical steroid is far more potent than a 3 percent Class VII steroid. To this end, it is important to always speak with your doctor about the risks and benefits of using a topical steroid and to fully understand how to use the drug properly. The appropriate steroid strength depends on a variety of factors. For example, babies absorb topical steroids much faster than adults, so they may require a low-potency steroid. Areas of the body where skin touches skin (such as the armpits or under the breasts) or sensitive areas of skin such as the eyelids, also absorb topical steroids quickly and may only need a low-potency formulation. However, thick, rough skin on the palms of your hands and the soles of your feet usually absorb topical steroids more slowly than other parts of the body, so those areas typically require a more potent steroid. Consideration also needs to be made as to the risks a topical steroid may pose to a user. This would dictate how long the drug should be used and under what conditions. Common side effects of topical steroid use include skin thinning (atrophy), easy bruising, enlarged blood vessels (telangiectasis), localized thickening of hair (hypertrichosis), and stretch marks in the armpits or groin. Keep in mind that the greater the potency of a topical steroid, the greater the risk of side effects. Gadbois N, Arensman K. Topical Corticosteroids. Pharmacy Times. Published September 2, 2017. Kwatra G, Mukhopadhyay S. Topical Corticosteroids: Pharmacology. In: A Treatise on Topical Corticosteroids Dermatology: Use, Misuse and Abuse. January 2018:11-22. doi:10.1007/978-981-10-4609-4_2. What Are the Symptoms and Treatments for Eczema? What Are the Different Types of Pustular Psoriasis?